Record air conditioning usage could create major power grid issues this summer. DALLAS - U.S. Air conditioning related electricity usage will break records and may cause blackouts in Texas this summer. Power grid operators are forecasting that electricity supplies will exceed demands during the summer months. 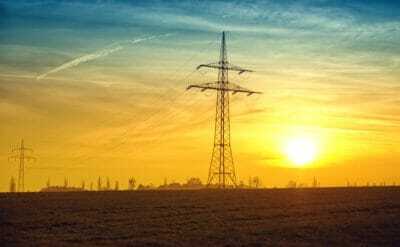 Most of Texas will face severe electricity shortages because of hot temperatures, air conditioning, and a strong economy, Bill Magness the president of the Electric Reliability Council of Texas (ERCOT) told the Associated Press. Magness thinks the large numbers people moving to Texas for retirement will increase the demand for air conditioning and electricity use. Retired people are more likely to be home during the day when temperatures are high – so they are more likely to turn up the air conditioner. Around 50% of all electricity in Texas is used for air conditioning and 100% of homes in Texas have air conditioners, Forbes reported. That means just a few hot days can strain the grid and a heatwave can trigger brownouts and blackouts. The situation was made worse by Vistra Energy’s decision to close more coal-fired power plants last year, The Austin American Statesman reported. The closed plants; Big Brown, Sadow, and Monticello, generated around 4,100 megawatts (4.1 million watts) of electricity, enough generation capacity to power two million homes, The Waco Herald-Tribune reported. Texas’s grid has never operated without those plants will make this summer a test of its capacity. Texas only has a 6% reserve of electricity that might fall will because of problems like downed lines or a power plant going offline. A Vistra subsidiary called Luminant has added around 8,000 megawatts of generation capacity from natural-gas burning plants, The Herald-Tribune reported. Luminant also plans to open a giant solar power plant in Texas to increase grid capacity. The Texas grid already reached peak capacity in May because of unexpectedly high demand and technical problems, Houston Public Media reported. Grid capacity fell because portions of the system were offline for maintenance. Electricity reserves will be very tight on hot summer days in Texas this summer, Magness predicted. When the thermometer rises, people crank up the air conditioner which burns more electricity. The grid operator ERCOT anticipates that Texas will need an additional 1,600 megawatts of electricity this summer, but record-high temperatures can significantly increase the demand. If everything is running correctly, Texas’s grid can produce up to 78,184 megawatts of electricity. “The margin between absolute peak power usage and available peak supply is tighter than in years past,” Andrew Barlow, a spokesman for Texas’s Public Utility Commission admitted. Around 90% of Texas’s grid has enough generating capacity, ERCOT estimated. That means 10% of Texas’s power grid lacks sufficient generating capacity which increases the possibility of blackouts. Even if the electricity supply is adequate electricity prices can go up in Texas because of higher natural gas prices, Forbes reported. Natural gas prices might go up over the summer because of increased electricity demands. Texas uses between 8% and 9% of America’s natural gas supply to generate electricity for air conditioning in the summer. Be Prepared For Blackouts This Summer. Texas’s problems might affect other regions including neighboring states such as Oklahoma, Arkansas, Louisiana, and New Mexico and parts of Mexico because those areas are connected to the same grid. Electricity from states like Colorado might be diverted to Texas in case of power shortages there. Home and business owners can avoid summer blackouts by tapping sources of Off-Grid electricity. The two best sources are backup battery storage and solar panels which can run your home or business if the grid runs dry. If you have family members with health problems who need air conditioning, or you rely on a business or freelance work that requires electricity for income, backup power is vital. Those who need backup electricity for their business should be able to use the expense of installing it as a tax deduction. Having backup electricity available might be the only way for Texans to keep cool this summer.